Makeup is a comfort to many people. It allows them to feel confident in their skin and therefore able to focus on being the best version of themselves. Like with art, there are different occasions and styles for makeup application. 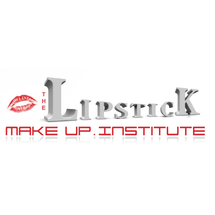 In this course, you will have the choice to get introduced to any one of the most popular and unique makeup looks. Learn everything you need to know about applying makeup, mastering makeup techniques and unleashing your or your client's beauty from your choice of these 7 styles. Though this course is targeted mainly towards professional makeup artists, any makeup and fashion enthusiast with basic knowledge in makeup applications is welcome to join as well. The class size is limited to ensure you get individual attention and have adequate time to learn and practice your skills. All instructors are professional makeup artists ready to share their industry knowledge and give loads of tips to bring out the best in you.